Welcome to more of the Holiday Countdown Series for 2018! You can never have too many gift tags in your stash for the holidays. There is always that last minute package that you forgot the card for and needs a quick greeting added to it. For today's project, I have some easy tags you can make assembly-line style with products you most likely already have. For my example, I'm making three at a time, but you can follow these steps for a whole stack of tags. 1. Create a tag base using a die or in my case, the WRMK Tag Punch Board. For my base, I used Cougar Super Smooth White 100# cardstock. 2. 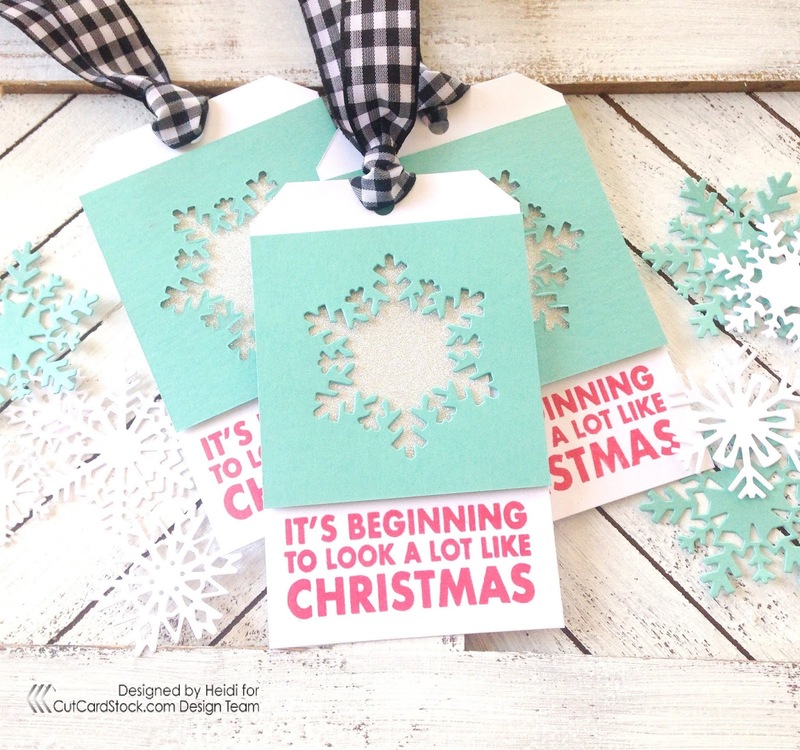 Using holiday-themed die like a snowflake or Christmas tree, die cut the image into a panel of cardstock the same width as your tag. Leave just enough room around the edges for foam tape. In this example I used shimmery Stardream Metallic in Lagoon. 3. 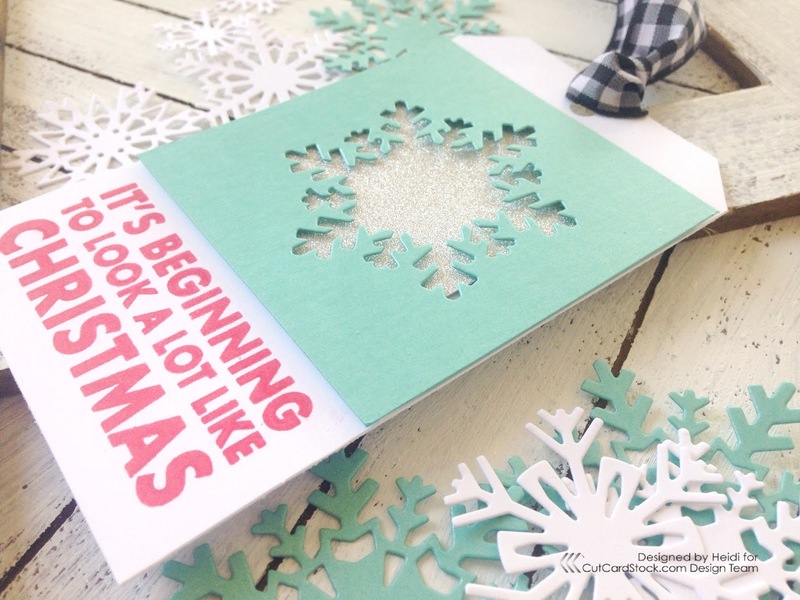 Using your die cut panel as a guide, line up a simple holiday sentiment on the lower half of your white tag leaving enough room for the panel. I used a stamp platform to quickly stamp the sentiment on multiple tags, one after the other. 4. Next adhere some glitter paper like Pow Silver Glitter paper just above your sentiment. 5. Adhere your die cut panel over the top of the glitter with foam tape. 6. 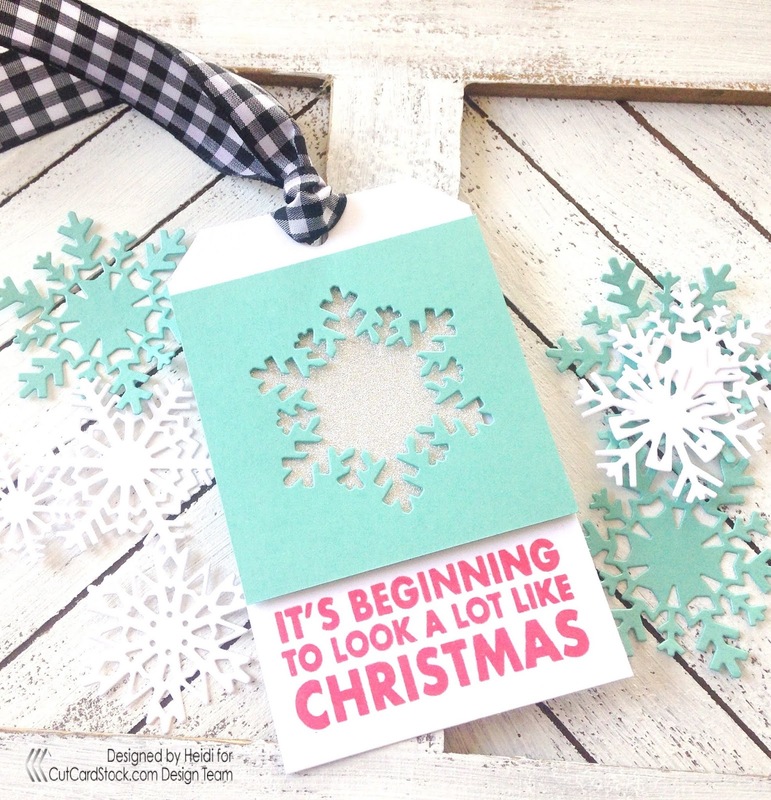 Add some cut ribbon and you have plenty of festive holiday tags for the whole season!